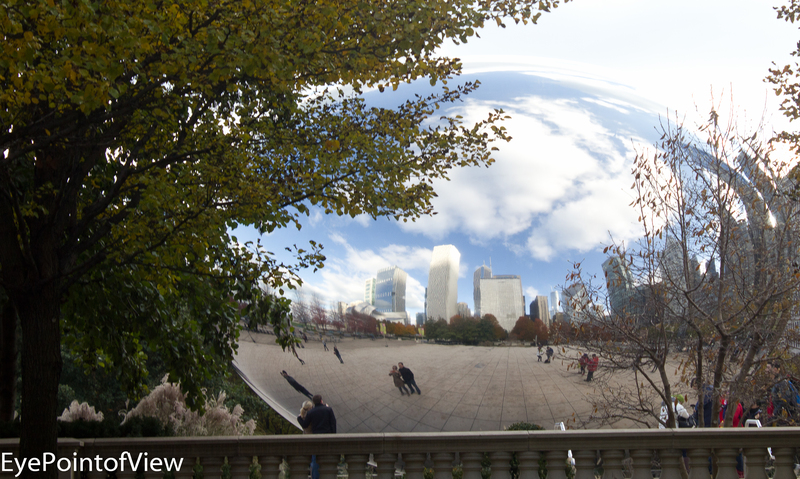 Reflections of a City – Cloud Gate (a public art installation created by artist Anish Kapoor), or “the Bean” as it is affectionately known, is a great reflecting surface, showing off the city’s skyscraper filled skyline. As I snapped pix, I noted that the clouds left a shadow on the rectangular-shaped Aon Center, and I loved the effect – which I kept in this 5* image. 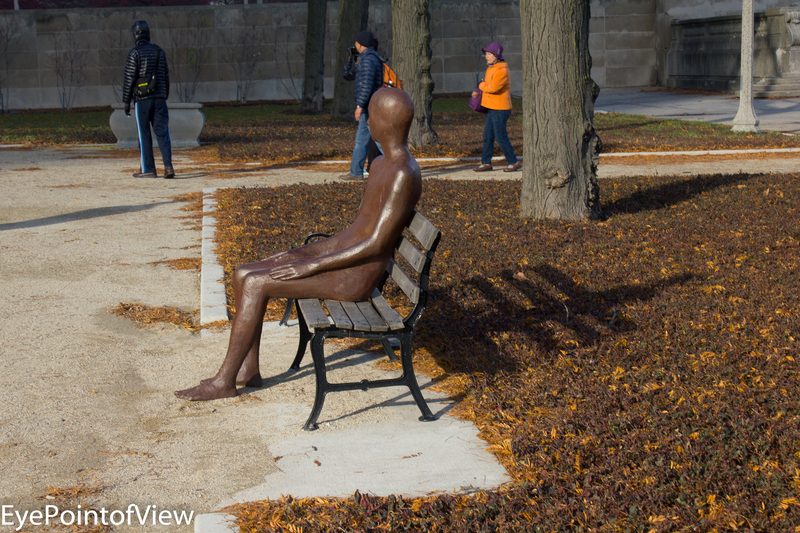 Borders – Borders is a public art installation on display in Grant Park, created by Icelandic artist Steinunn Thórarinsdóttir, featuring contrasting colored figures in a variety of poses. Today, as I explored it for the first time, children were playing around the individual figures; adults sat watching the kids; while others, like me, walked around taking photographs. 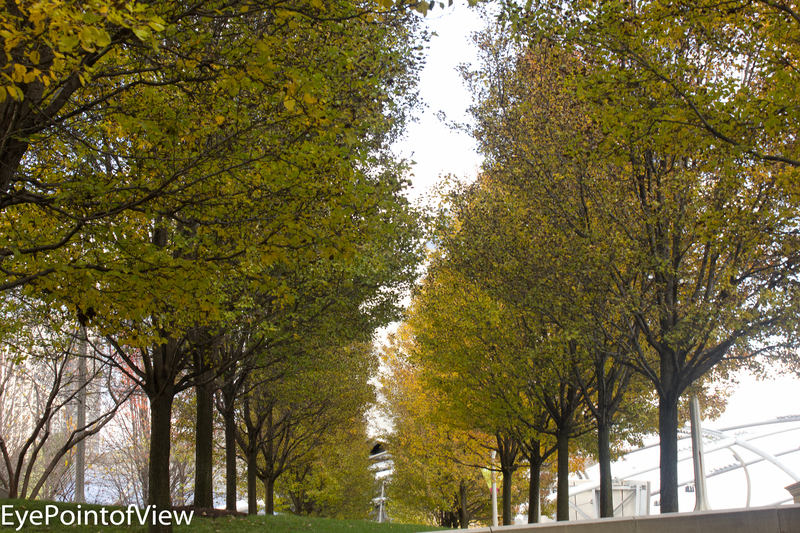 Tree Line –These trees are on a hill above the north end of the Jay Pritzker Pavilion in Millennium Park – you can see its distinct curved architectural features thru the trees. This spot is alongside one of the walkways. I liked the spot, and KNEW if would find the beautiful shot. I turned around in a circle, and looked up, and there it was, this line of trees! 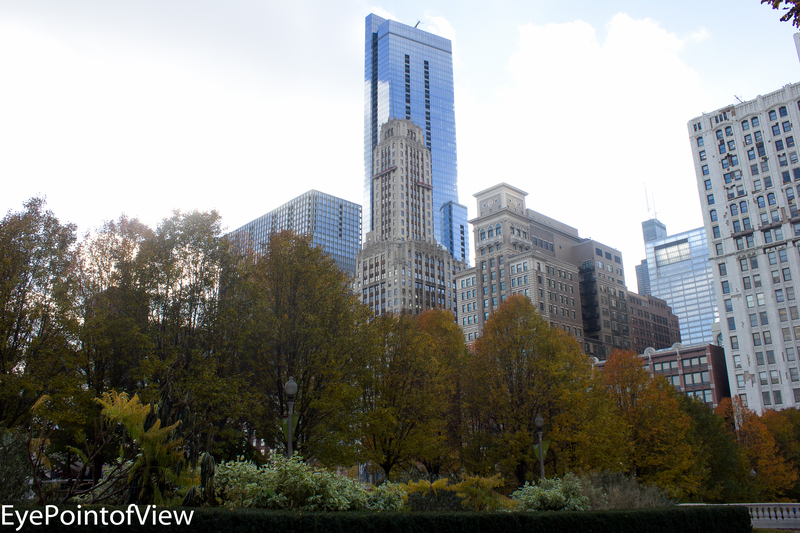 Skyline – Once again, the skyline just shows itself off, towering about the trees and shrubs on this Millennium Park walkway. Watchful: the Figure – As I walked thru the Borders exhibit, I imagined different causal situations for the specific figure’s pose. This figure seemed to watch all those who dared to cross its unwavering gaze. In the field of muted greens and browns, the orange jacket worn by one visitor easily draws your eyes to it. So I did have fun in my wanderings, and got a few nice shots to boot! Hope you like my 5* pix.